The Rory Peck Awards honour dangerous yet valuable work by freelance filmmakers, and camera operators, in the area of news and current affairs. This award recognised Deeyah Khan and Darin Prindle’s courage in filming White Right: Meeting the Enemy – a documentary on the American far-right - in which they film an intimate interview with the leader of America’s largest neo-Nazi organisation, visit neo-Nazi training camps, and take part in the now-infamous ‘Unite the Right’ rally in Charlottesville. 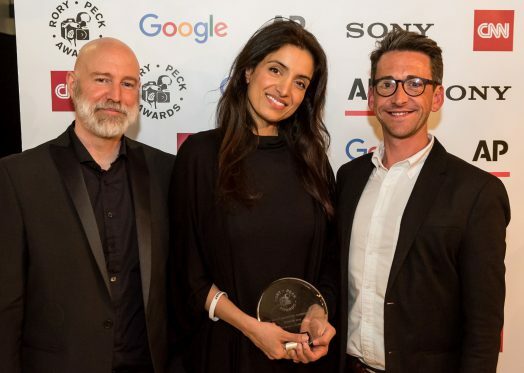 The Rory Peck Awards have been broadcast on the BBC and featured interviews with this year's finalists and winners, including Deeyah Khan, which can be watched here.